I have a deserved reputation for trying almost any wine. I do not keep track of my success ratio but sometimes I find fun stuff such as the bizarrely decent 1971 Chateau Montgrand-Milon, Pauillac. Who knew that the second wine of a Crus Bourgeois Superieur would still be solid? Those $10 bottles were worth every cent. Earlier this year I grabbed a trio of wines priced in the $3 to $10 range. I had hoped that the 1981 Cellier des Dauphins, Cotes du Rhone was stabilized in some form rendering it immune to age. It was not. At least the bottle shape is different. The 1983 Chateau La Cardonne, Medoc would be better if the fruit did not exist solely in the finish. Lovers of blood and iron will rate this wine higher. For me, half a glass was fine. Most disappointing is the 1997 Delas Freres, Les Calcerniers, Chateauneuf du Pape. Wine Spectator gave this bottle 80 points upon release. I think it has lost one point for every year of age. If you see these wines then stay away! These wines were taken from the dump bin at MacArthur Beverages. Imported by Cellier des Dauphins. Alcohol 12.5%. Should have been drunk 34 years ago. Past. Imported by Chateau & Estate. Alcohol 11%-12%. The color is quite advanced and would be alarming if this bottle did not cost just a few Dollars. The flavors are a bit better with slightly dense and rounded blood and iron start. There is watering acidity that keeps things going. The wine is best in the finish with some grippy red fruit, more blood but then there is an aftertaste of roast earth. * Past. Imported by Maisons Marques and Domaines. Alcohol 13.5%. The nose of roast earth does not bode well. In the mouth the wine is balanced in feel and in no way in poor condition. However, the wine tasted old with the fruit all gone and the flavors are lean. There is still a good body and mouthfeel. Poor. Past. 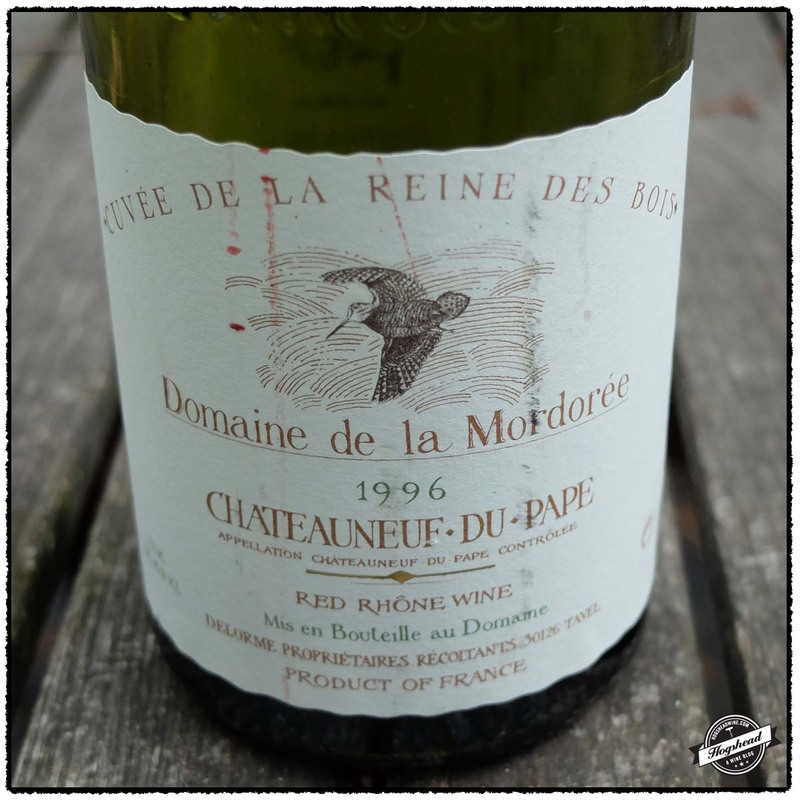 The Domaine de la Mordorée, Cuvée de la Reine des Bois, Chateauneuf du Pape is a top cuvée which is normally priced beyond my budget. I recently bought the last bottle from the 1996 vintage at an attractive dump-bin price. 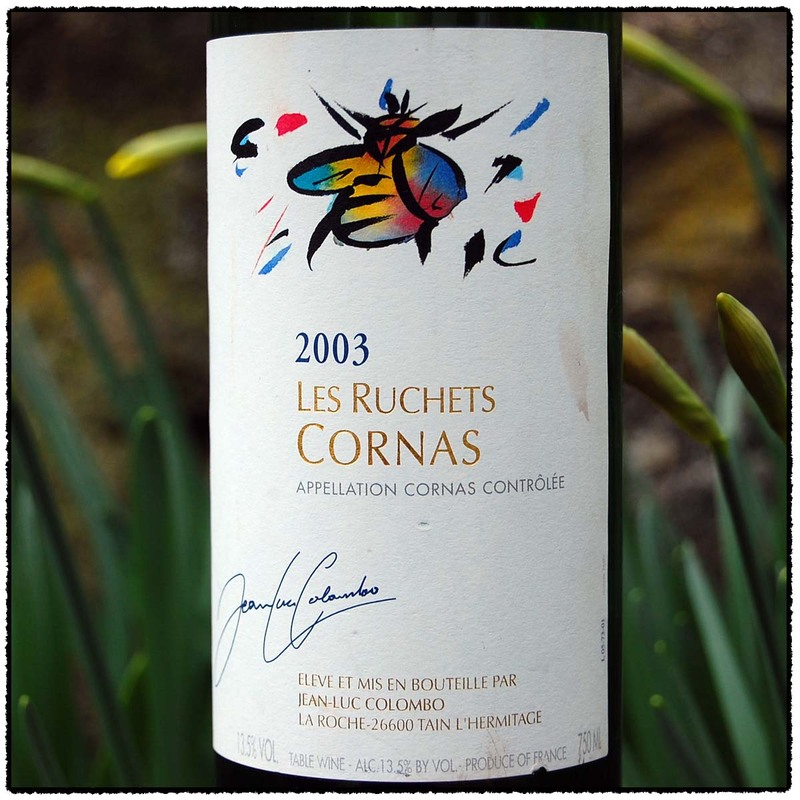 This wine is listed on the domaine website as a vintage to drink now, specifically by 2009. I found that the wine itself has the robust stuffing to easily last another decade. The flavors are dominated by meat, smoke, and roast notes. Though the red fruit is still present and the wine ultimately satisfying, I do agree that this is a wine which should be drunk up. This wine was available at MacArthur Beverages. Imported by Kysela Pere et Fils. This wine is a blend of 80% Grenache, 10% Mourvedre, 5% Syrah, 2.5% Counoise, and 2.5% Vaccarese sourced from vines averaging 60 years of age. The fruit was destemmed then aged in a mixture of oak barrels and enameled steel tanks. Alcohol 14%. The nose was full of meat, smoke, and mushrooms. In the mouth there was moderate weight to the flavors of meat, smoke, and controlled, dense red fruit. There was some tartness on the sides of the mouth. With air the wine proved to be robust with roast notes and no great complexity. The aftertaste brought similar flavors along with ripe tannins. *** Now-2023. 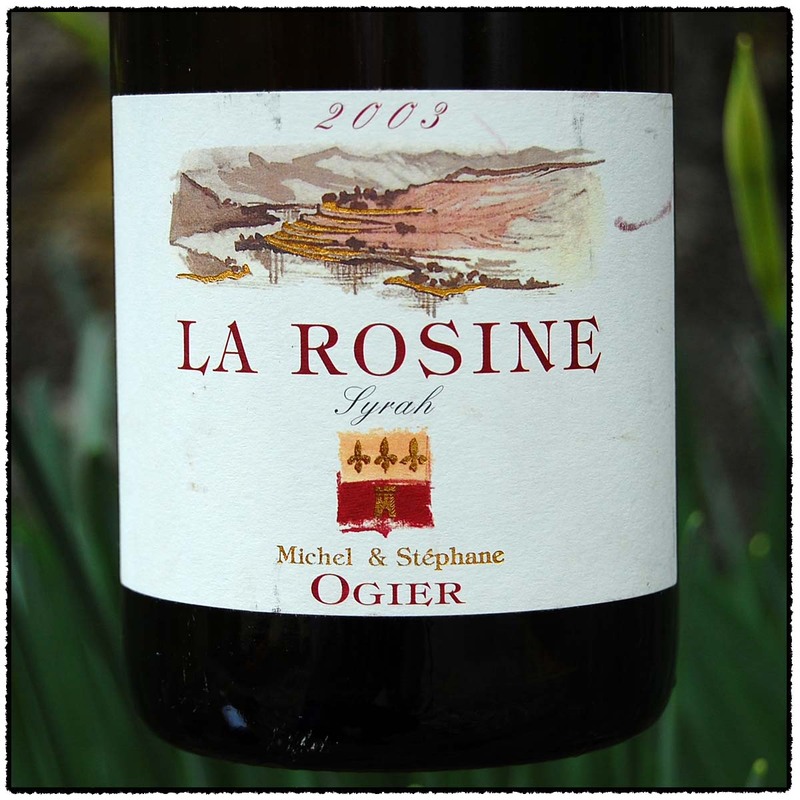 One year ago we tried a bottle of 2003 Domaine Michel Ogier, La Rosine and found that bottle to be cracking up. Since then a few others have enjoyed this wine so I decided to give it another go. This time we paired it with the 2003 Jean Luc Colombo, Les Ruchets which was on the dump stack. This second bottle of La Rosine showed so much better with attractive smoke, earth, and roast on the nose followed by meat and wood box in the mouth. It projected personality. 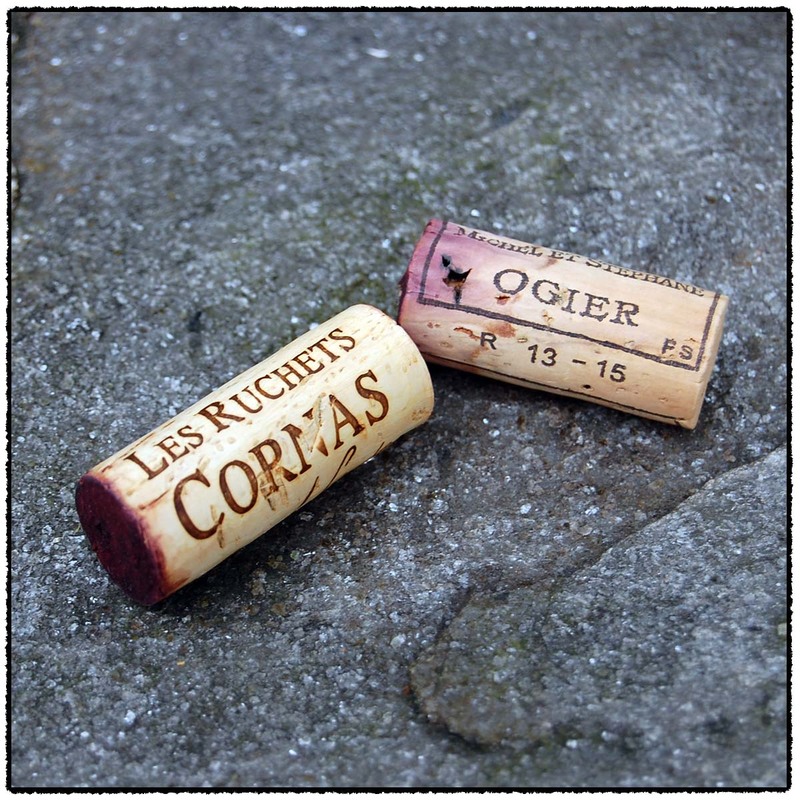 The Les Ruchets saw a higher percentage of new oak for a longer period of time. Despite using fruit from vines planted in the 1920s I perceived less personality from the flavors and more from the structure of the wine. I suspect it will live for quite some time but I think it best drunk over the near term. While I was glad to have paid the discounted dump-bin price rather than twice as much I recommend you stick with the La Rosine. These wines were purchased at MacArthur Beverages. Imported by Robert Kacher. This wine is 100% Syrah sourced from vines planted in 1988 and the later 1990s. 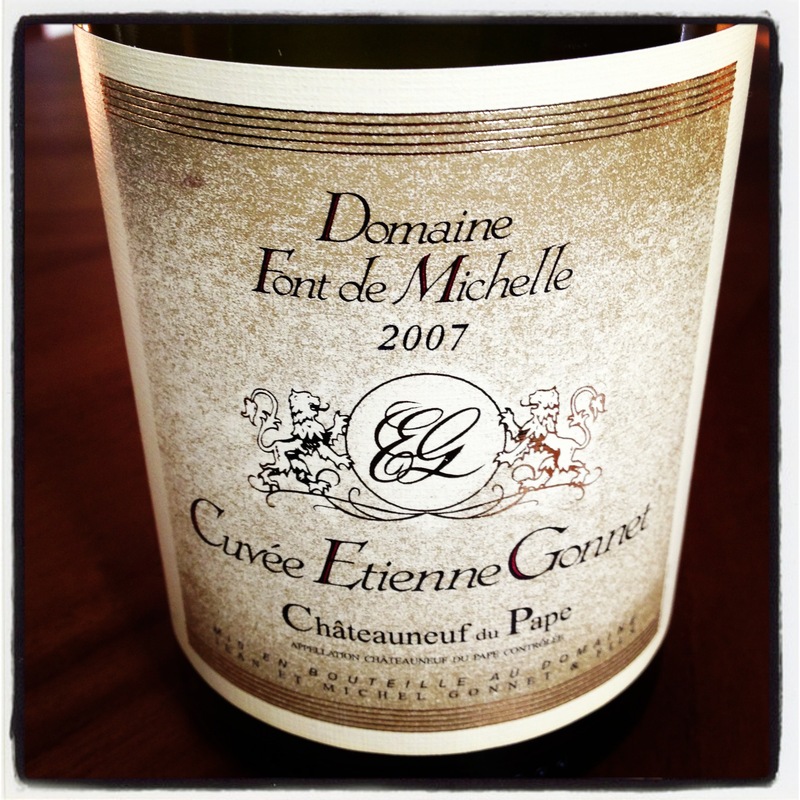 The wine receives 14 months with 10% new oak and 90% in 2-year-old barrels which raised Cote-Rotie. Alcohol 12%. The nose was light to medium with smoke, earth, and roast. In the mouth there was tart red fruit to start along with black acidity on the tongue. There was a gentle weight with slightly flavors of meat and wood box in the finish. The fruit was quite clean with light black and red fruits mixing with minerals. The acidity was clean as well. *** Now-2018. Imported by Palm Bay Imports. This wine is 100% Syrah sourced from 90+ year old vines from the 1.6 hectare Chaillot parcel. The fruit was destemmed, fermented in stainless steel then aged for 18 months in 70% new oak barrels. Alcohol 13.5%. There was a light, meaty nose with the slightest hint of fresh pepper. The mouth brought black and red fruit, pepper, acidity, and fine ripe tannins. The flavors turned drier in the finish which was textured rather than flavorful. With air acidity enlivened red fruit came out midpalate along with more roundness and balance. ** Now – 2018. On a recent visit to MacArthur Beverages I picked up more dump bin materials. There are a number of reasons why a bottle might be dumped. 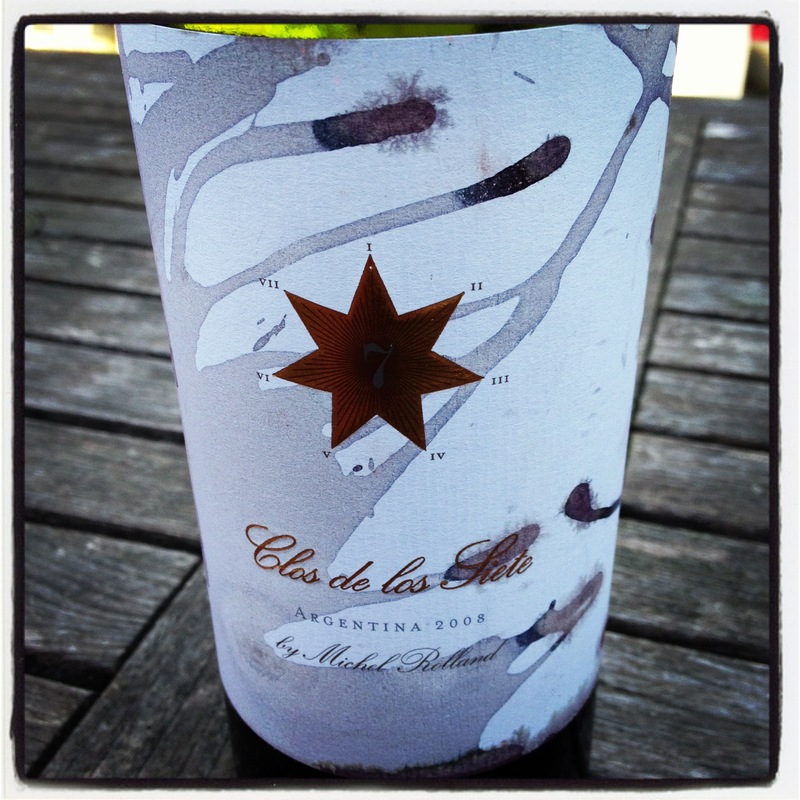 In this case the Clos de los Siete had an incredibly stained label and the two other bottles showed signs of leakage. I do not normally buy leakers but after having recent success with the 2007 Coudoulet de Beaucastel, I thought, why not? 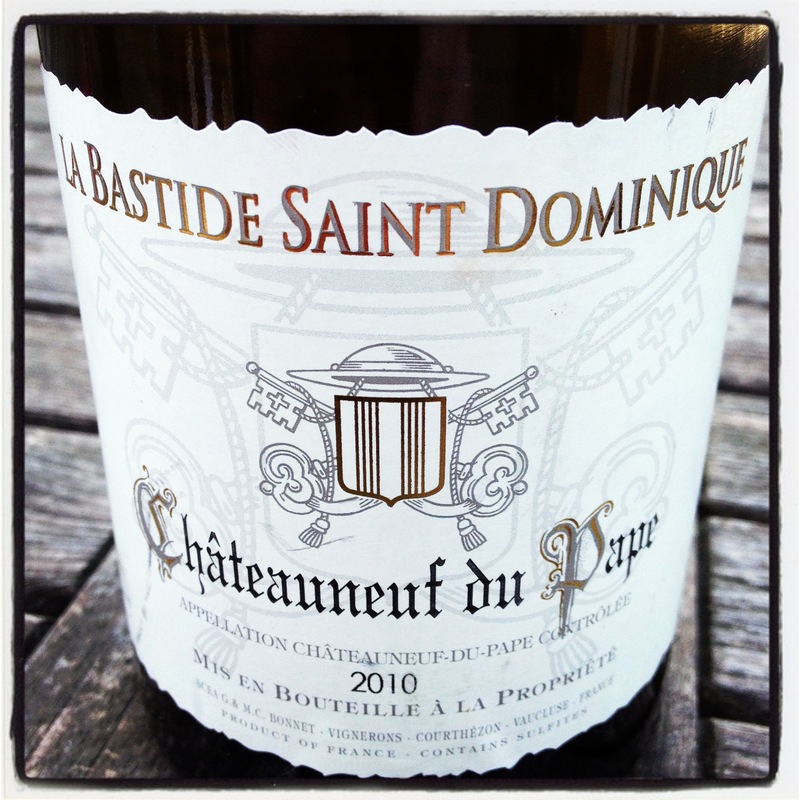 Under the foil the La Bastide Saint Dominique had a purple and white stained neck but the top of the cork looked normal. The fill was high and in breaking the cork in half it looked like some wine might have made its way through it. The wine itself was in outstanding condition and thoroughly enjoyable. 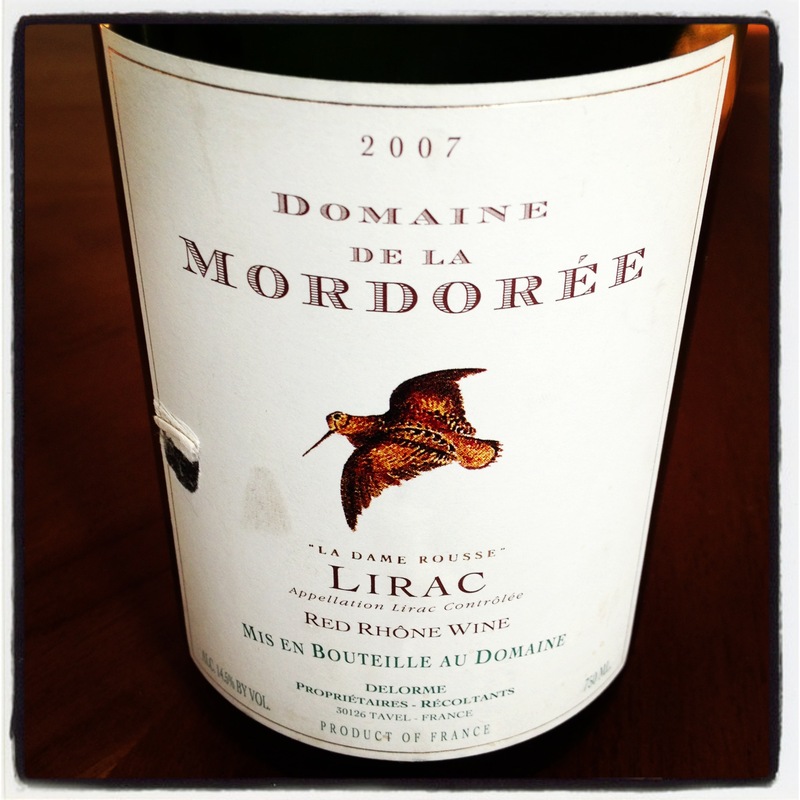 The Domaine de la Mordoree showed a very thick, jam like vein of leakage alongside the bottle and slightly lower fill. I quickly identified the culprit as a thin fold on the side of the cork. Now I am not advocating you start purchasing bottles with signs of leakage, certainly not fresh leakage. But the right bottle at the right price might yield a pleasant surprise. Imported by Dourthe USA. Alcohol 14.6%. This wine is a blend of 56% Malbec, 21% Merlot, 10% Cabernet Sauvignon, 11% Syrah, and 2% Petit Verdot. The light nose revealed dark aromas, roast earth, and became a little pungent with air. In the mouth there were dark, robust fruit flavors, roast earth, and a touch of salt. There was soft weight to the wine a little vanilla note, and fine textured, ripe tannins in both the finish and aftertaste. With air it showed good integration of acidity, good grip, and blackness. *** Now-2023. Imported by Simon N Cellars. This wine is a blend of 80% Grenache, 10% Syrah, 5% Mourvedre, and 5% Cinsault sourced from 25-80 year old vines. It was aged for 18 months. Alcohol 15%. The color was a medium cherry garnet. The light nose revealed deep dark fruit and brambly red berries. In the mouth there was dense, almost grainy blue and red fruit along with notes of wood box. The finish was full of black fruit with some fruit liquor, grainy ripeness, and a minerally black fruit aftertaste. This wine has power and a rounded personality. There were some very fine tannins in the aftertaste. ***(*) Now-2028. Imported by Kysela Pere et Fils. This wine is a blend of 33% Grenache, 33% Mourvedre, and 33% Syrah sourced from 40-year-old vines. It is aged in a combination of enameled steel tanks, oak barrels, and oak tuns. Alcohol 14.5%. There was a light to medium strength nose of Kirsch and black fruit. In the mouth there was a bit of roast earth, black and red fruit, fine structure, and closely held ripeness. There was a powerful fine tannic structure on both nights, almost too powerful. If this resolves with time it might merit a higher score. *** 2018-2023. 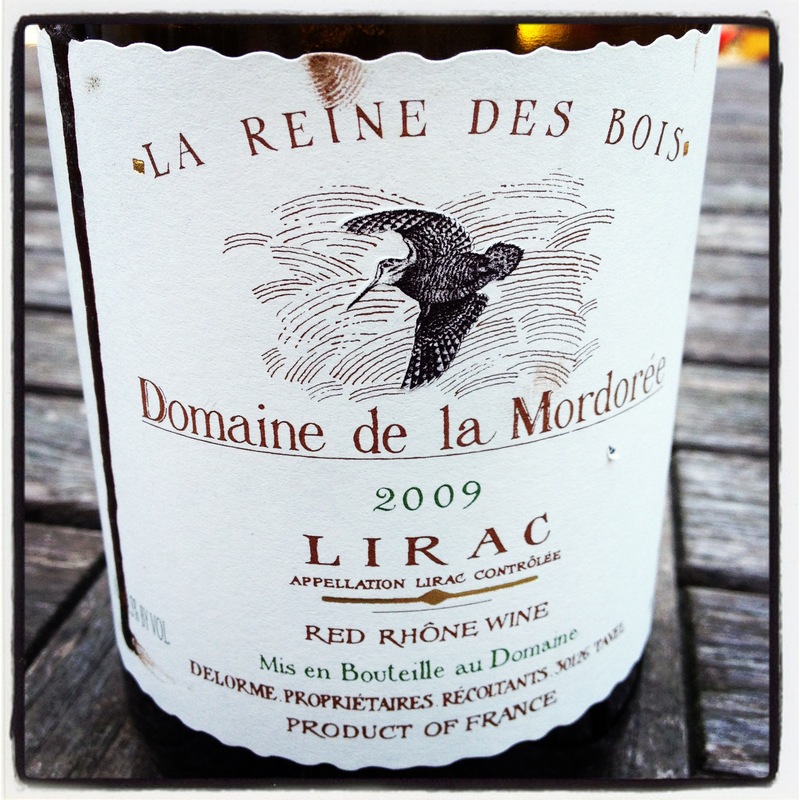 I like to drink diversely but I cannot help but enjoy drinking wines from the Southern Rhone. Indeed they reinvigorated my wine drinking back in 2007. 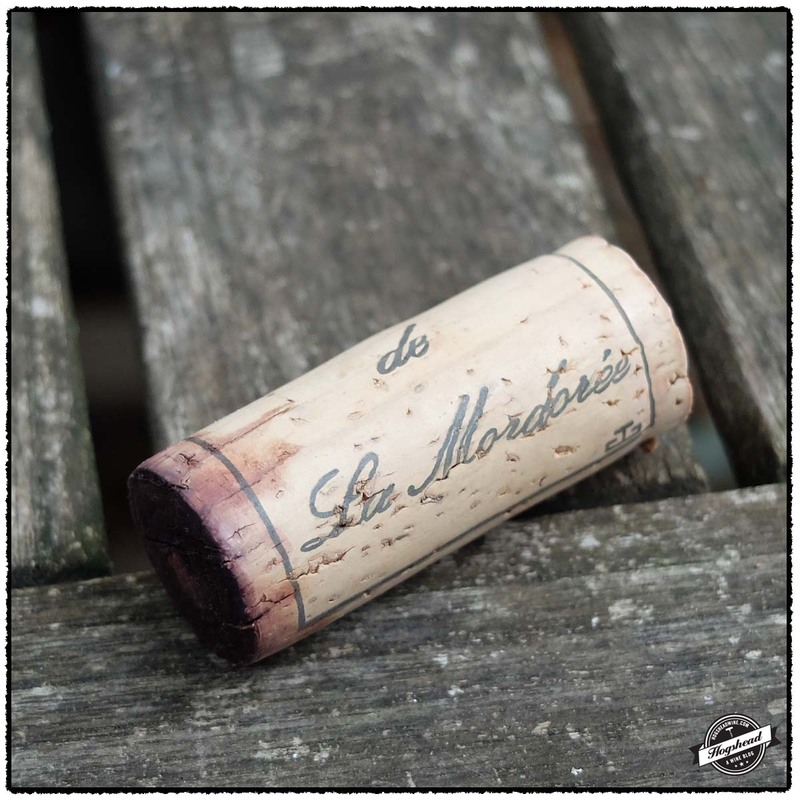 The Domaine de la Mordoree and Domaine de Beaucastel were dump-bin purchases, the first being the final bottle and the second showing signs of leakage. I gambled of the leaker because the fill was very high and the capsule was dry. The gamble paid off! The Mordoree had a nose which interested Jenn but in the mouth it was a firm, tightly muscled wine which should be cellared more. 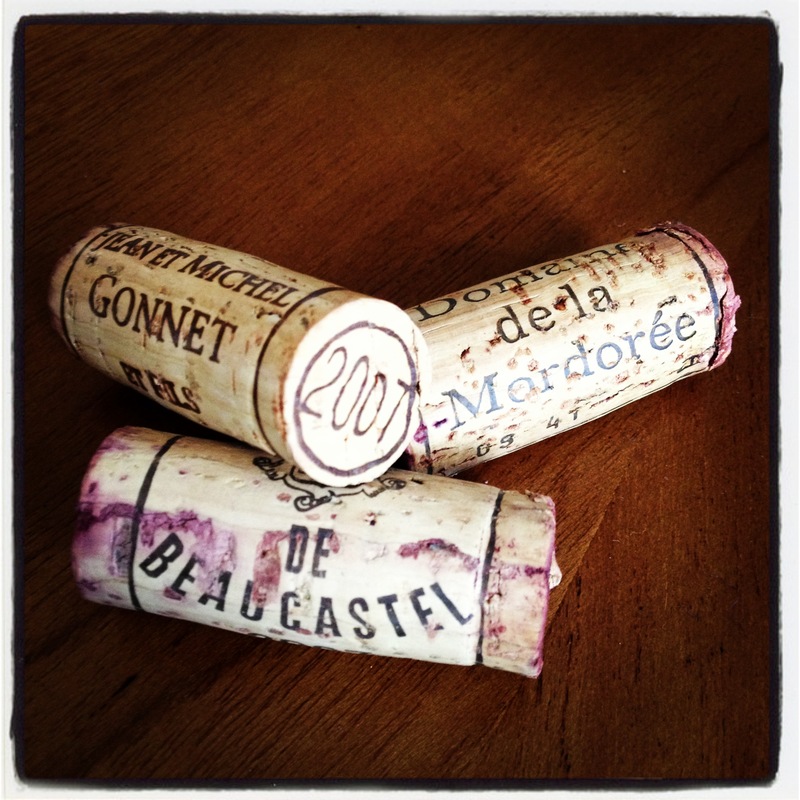 Both the Beaucastel and Font de Michelle are forward, luscious wines for drinking right now. 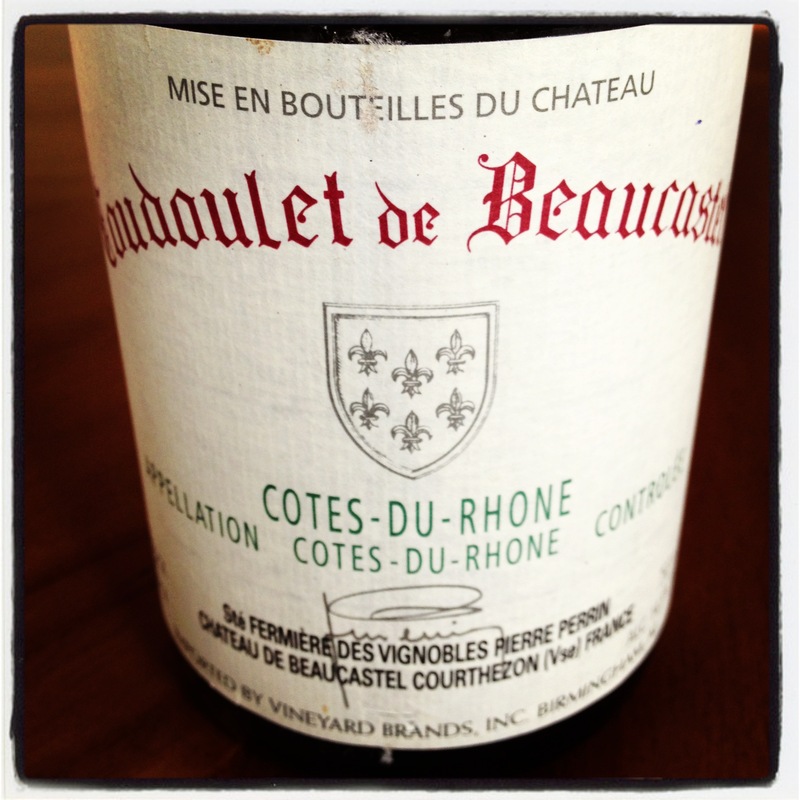 The Beaucastel has old school, earthy aromas and flavors enjoyed by all. This bottle drank really well and has a lushness which makes you want to open more. The Font de Michelle is immediately obvious as a special wine. Again hard to resist now but there is an internal structure to carry it forward. These wines were purchased at MacArthur Beverages. Click here for previous Notes from the Dump Bin. Imported by Kysela Pere et Fils. This wine is a blend of 50% Grenache and 50% Syrah sourced from ~40 year old vines. Alcohol 14.5%. The nose starts of light and tight with brooding dark fruit and roast earth, taking on some raspberry on the second night. In the mouth the focused blacker fruit mixes with cool acidity, black minerality, and carries muscular weight. It give the impression that it will slowly age. On the second night the purplish fruit takes on berry qualities with juicy acidity. It is firmer but has focused ripeness, still young. **(*) 2015-2023. Imported by Vineyard Brands. This wine is a blend of 30% Grenache, 30% Mourvedre, 20% Syrah, and 20% Cinsault which were all fermented separately in enamel tiled vats. It underwent malolactic fermentation, was aged for six to eight months in large oak barrels, and bottled after fining with egg whites. Alcohol 14.5%. The nose is interesting with earthy, ripe fruit. The flavors follow the nose with a soft approach which still has good acidity. There is nice weight to the wine. Old-school flavors, wood box, and sweet spices fill the mouth. There are some ripe tannins in the finish which is followed by an expansive aftertaste. At the top of its rating. *** Now-2018. Imported by Robert Kacher Selections. This wine is a blend of 70% Grenache (sourced from 100 year old vines), 10% Syrah, 10 % Mourvedre, and the rest Counoise, Muscardin, and Terret Noir. The Grenache is aged in tank with the rest in demi-muid for 18 months. Alcohol 14.5%. After a four hour double-decant the light to medium strength nose reveals blue fruit and exotic berries. In the mouth there are weighty blue fruit, dense flavors, and vintage flower perfume. It is accessible with forward flavors, a wild note, and lots of fruit which expands in the mouth. There are fine+ tannins in the finish and a long aftertaste. With more air it reveals strength in personality, cinnamon spices, and an inky middle. **** Now-2023.